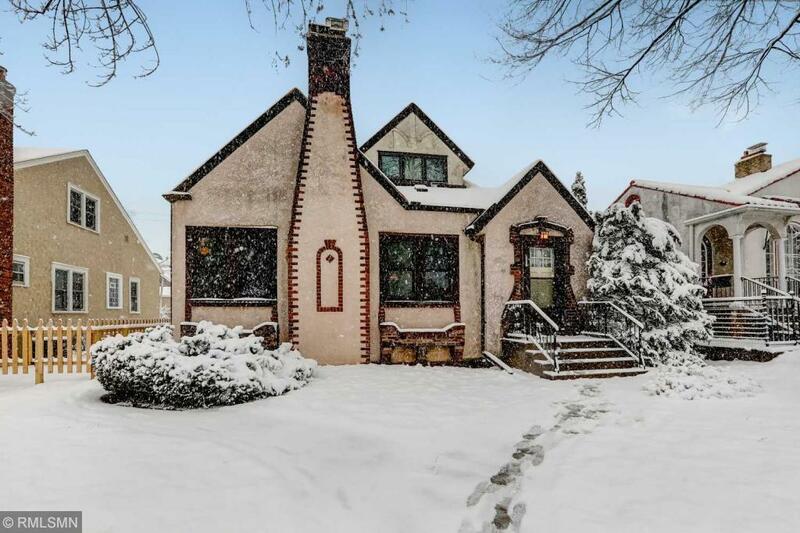 Beautiful stucco home in Minneapolis Fulton neighborhood. Four bedroom home with two on the main level and two up. Front foyer opens to large living room with fireplace. Formal dining room with built in corner cabinets. Hardwood floors are in great condition. Two car garage!